I’ve known people who gravitate to Schoenberg’s music in the way that one might to a burning building. In my own apartment, Schoenberg (1874-1951) is pretty much the stuff of contraband, alongside Albert Ayler, Steely Dan and a host of others in whose music I take great pleasure but am forced to enjoy either on headphones or on the sneak. My wife wants to assassinate the sax player on “Deacon Blues.” My two Ayler albums have mysteriously vanished. And if they could rig sound systems such that they would explode with the playback of a twelve-tone composition, my guess is that I’d be the unwilling owner of at least two. It can take effort and patience to orient oneself in Schoenberg’s angled world. But why should that keep us from listening? What does it mean to orient oneself in listening? Listen here to Glenn Gould in a performance of one of Schoenberg’s earliest experiments with so-called “atonal” composition, op.11. It was Gould who once speculated that a child raised on a remote mountainside, and exposed to nothing but music without tonal centre, would still manage to find some kind of beauty in it. There would be no equivalent measure by which to perceive what we, by force of habit, have come to call “dissonance.” There would be no default point of vantage from which to consider that particular aspect of the world disorienting or unnatural. The youngster would still, like us, be a creature of nature and of convention – just differently positioned, the music differently slanted. If disorientation is everywhere our default condition, if we are born into the world without a fixed point of reference, then it becomes a matter of pure circumstance as to the formal means by which we come to arrange it. Who has turned us around like this? There’s a certain freedom in Gould’s line of thinking. Music can challenge, and orienting oneself in listening can be a healthy fight for perspective. Music, once impenetrable, can illuminate. “My subject: beauty and logic in music, shall deal with the mutual relation between beauty and logic in music. Its main purpose shall be to dethrone beauty as much as possible as a serious factor in the creation of music. You could say that, for Schoenberg, the musical idea is everywhere greater than the mere notion of truth or beauty. Conceptions of truth and beauty – and with them, musical styles, tastes – change. Invention does not. So long as we’re around, the musical idea, the human urge to shape sound in space, will subsist absolutely. 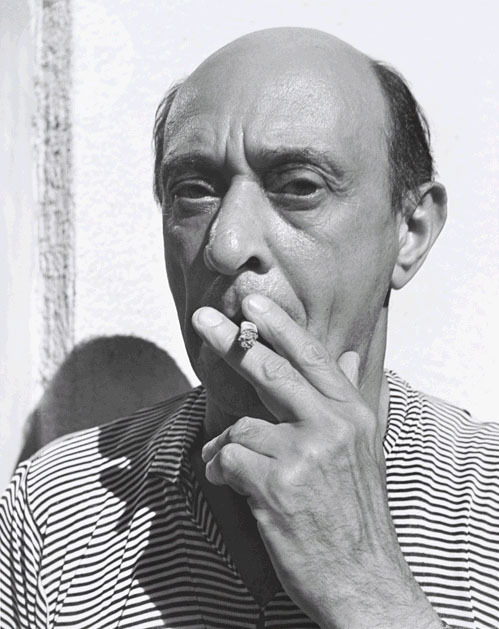 My own gateway to Schoenberg’s music was his only piano concerto. 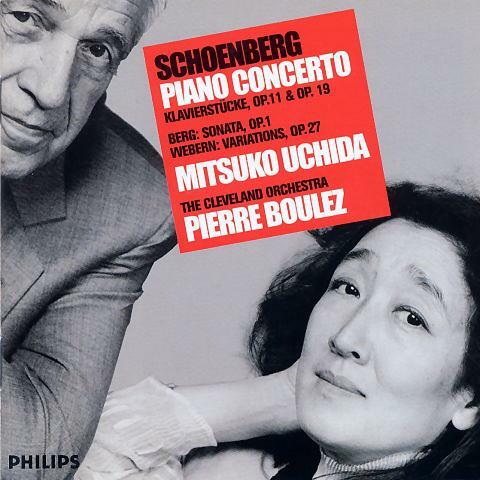 You can listen here to one of the great living pianists, Mitsuko Uchida, reflect on her experience with the concerto, which she says “involves an enormous amount of brainwork . . . . You must be stubborn to want to learn it.” While talking about music may not always be like dancing about architecture, nothing can replace listening: So here is the concerto in full. Listening, like learning, can require a good deal of what Uchida calls “devotion.” My own experience has been that the character of a work will reveal itself naturally, but generally with repeated listening. A first listen is very much like attempting to view a mural at arm’s distance. Every successive listen is a step back, and eventually, some kind of whole comes into view. Orienting myself in this way, I’ve come to find that where Schoenberg’s world is loaded with sharp angles, it is also full of brilliant corners. * Quote taken from A Schoenberg Reader: Documents of a Life, edited by Joseph Auner (New Haven: Yale University Press, 1984), p. 326. Sourced from archival material at the Arnold Schoenberg Centre in Vienna (T67.02, Notebook III).